If you are seeing this message on your Nexus 7 fear not. So if you’re like me and found out your new Nexus tablet can’t use Microsoft Xbox SmartGlass (and that pissed you off more then a little) then just follow this link to download the APK to install the app. 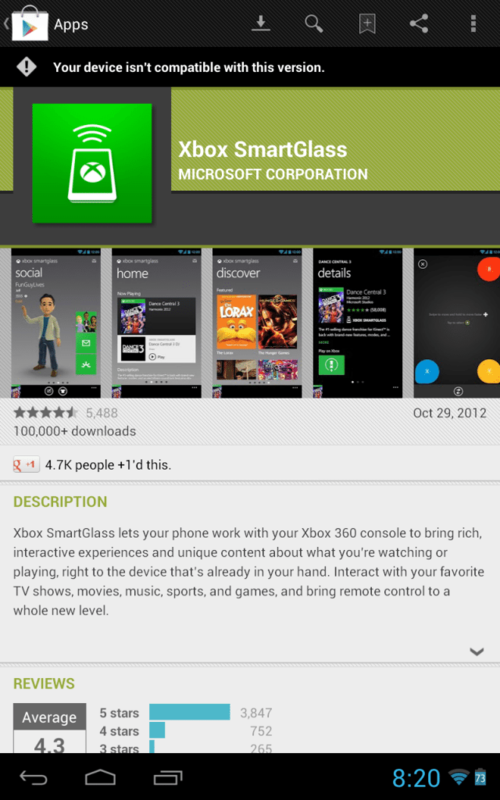 Xbox SmartGlass APK workaround hack.